Live event streaming begins approximately 15 minutes prior to the specific event start time. and events that feature the Raider community and distinguished visitors. Do you have an important event that needs to be video recorded? Do you need support with video production, or have an event that needs live streaming? Let Video Technology Services (VTS) help you with all your media and event production needs. VTS is a full service provider of media-related services, including video production and editing, live event support, media duplication, and campus digital signage. If the stream stops or freezes, refresh the page and restart the stream. You can log on to a live event stream 15 minutes prior to the event start time. Earlier access will result in the following: "Subscription failed: T00907@36561." When this occurs, refresh this page and start hte stream at the scheduled time of the event. Adobe Flash Player may be required to view the live stream. For technical assistance, please call CaTS Help Desk at (937) 775-4827. 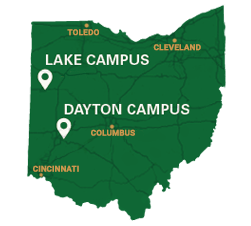 The Wright State University streaming service is powered by Telvue.